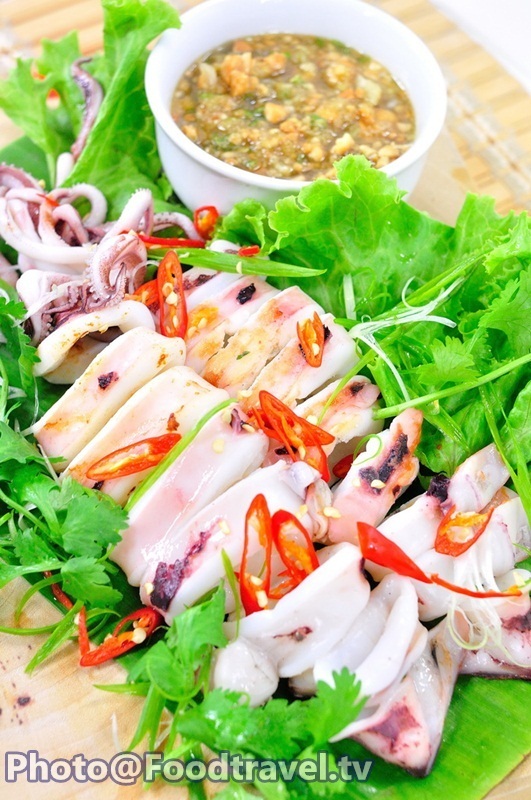 Grilled Squid with Sweet Peanut Stick Sauce (Pla Muek Yang Nam Jim Tua Tad) - A delicious popular easy squid menu that you can serve yourself easily at home . 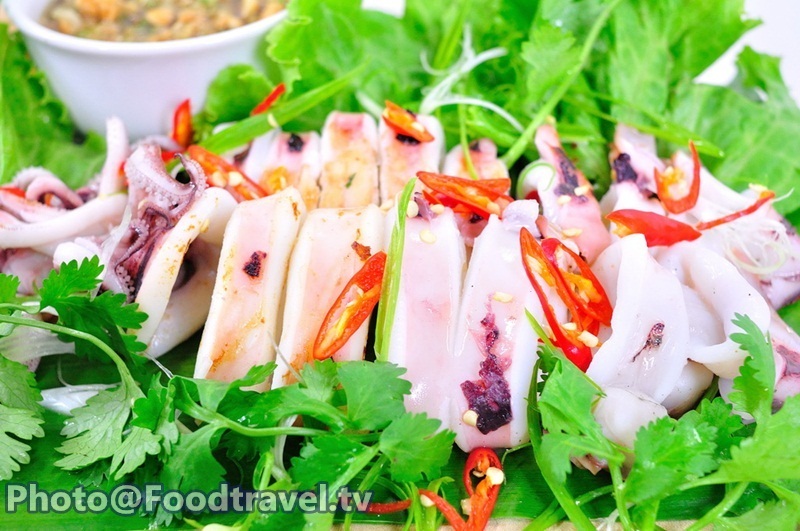 By grilling squid on charcoal brazier. 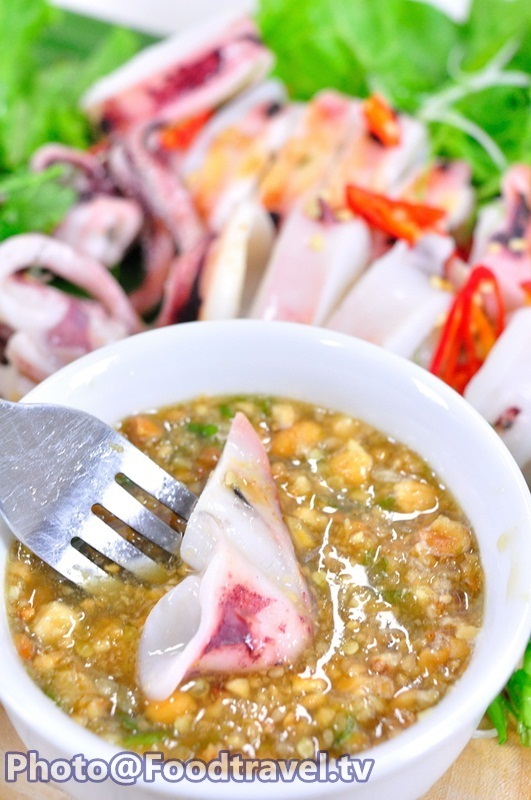 Then cut into piece and serve together with sweet and little spicy seafood sauce mixed with peanut stick. 1. 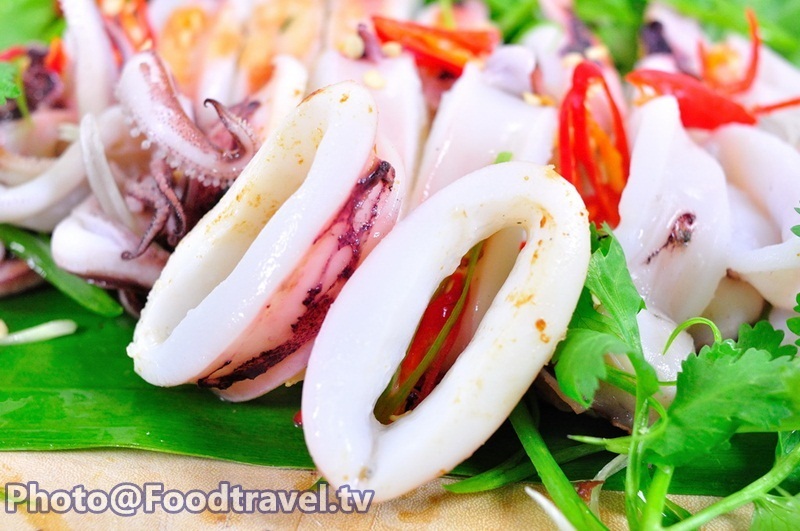 Rinse squid and grill over medium heat. 2. 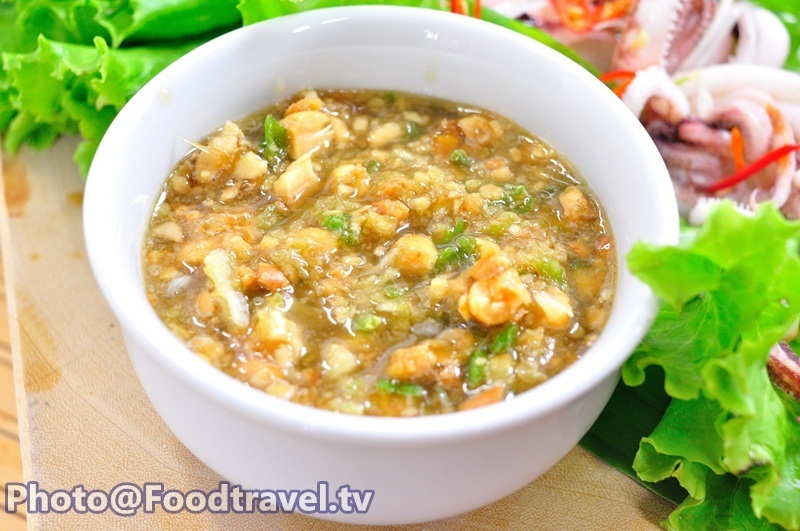 Prepare sweet sauce by pound coriander root, salt, galangal, chili, garlic. 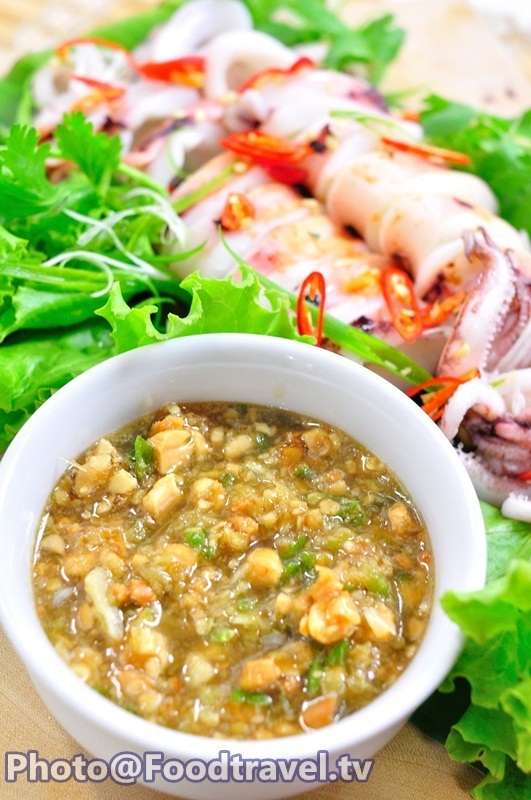 Season with fish sauce, lime and grounded peanut. 3. 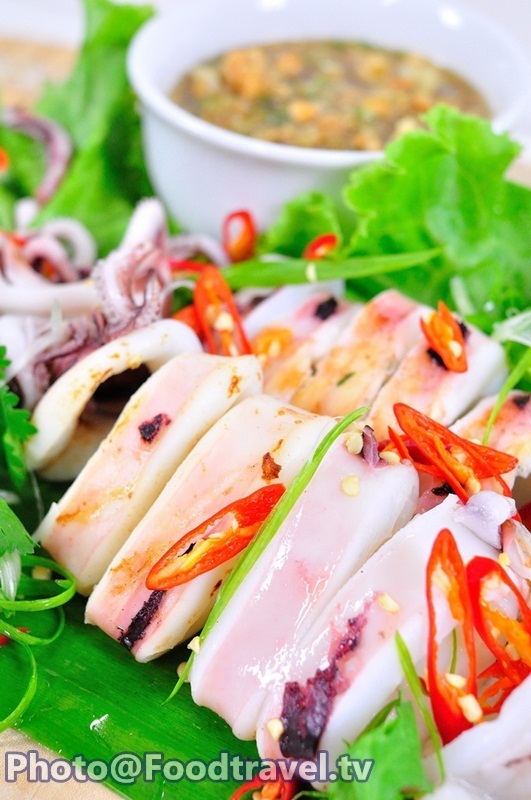 Serve grilled squid together with the sauce.